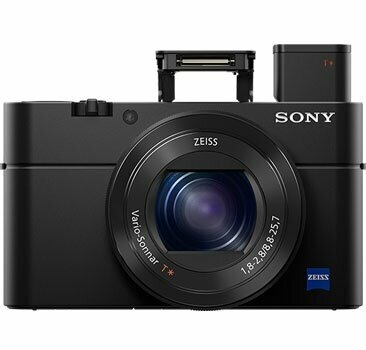 Absolutely stunning picture quality, compact enough to take anywhere. Now your photos maintain soft background defocus even when zoomed in with the improved f1.8-2.8 24-70mm Zeiss lens. There's even a pop-up electronic viewfinder for eye-level framing and a 180ｰdegree tiltable screen for 20.1MP4 selfies. Lastly, the ultra-fast BIONZ X processor adds speed and accuracy for stills as well as beautiful HD video. 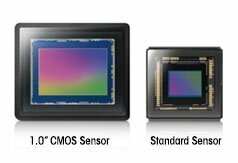 Featuring a large 1.0” Exmor R CMOS image sensor. 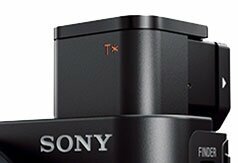 The back-illuminated technology doubles light sensitivity and combines with Sony’s Column A/D Conversion to reduce noise levels — a great help when photographing in dimly lit environments. 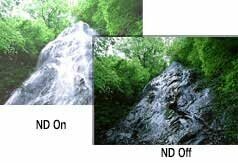 Markedly reduced noise is evident even when high-sensitivity settings are used for capturing night landscapes or indoor scenes. 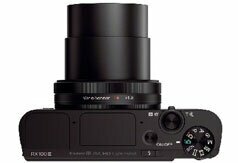 The DSC-RX100 III sports an all new bright F1.8-2.8 Zeiss Vario-Sonnar T* lens with 24-70mm zoom. The lens is perfect for portraits and macro shots with beautiful defocused - bokeh backgrounds. A premium multi-layered T* coating also dramatically reduces ghost and flare caused by light reflection. View every scene in rich detail with the bright and retractable SVGA OLED Tru-Finder. The viewfinder faithfully displays what will appear in your recording, including the effects of your camera settings, so you can accurately monitor the results. The Zeiss T* coating enhances clarity and reduces flare and reflection in the eyepiece optics. Selfies have never been easier with a beautiful 3” (1,229k dots) Xtra Fine LCD Display that rotates in multiple angles. This also makes it easy to photograph over crowds or low to capture pets eye to eye by swinging up and down approximately 180 degrees. Easily scroll through menus and preview your shot thanks to WhiteMagic technology that dramatically increases visibility in bright daylight. The large display delivers brilliant-quality still images and movies while enabling easy focusing operation. Realize a wider range of photographic expression with built-in 1/8 (3 EV steps) ND filter that allows exposure adjustment in bright scenes. 1. Returns for refunds will be subjected to the following criteria for change of mind or other reasons within 10 days of taking delivery. 2. Products boxes must be intact and unopened, along with all free gifts within as supplied. 3. Products must not be used or damaged. 4. Products seals must be intact and untampered . 5. Too much time has been taken to make returns by the buyer (Exceeding 5 days) 6. Customer help line: 03-2142 3088 / email: sales@fotoshangri-la.com for inquiries to the above.